Use of Pendulum : A freely suspended object is called pendulum. By dowsing we are getting the reply from our own sub conscious mind. i.e. Atma. 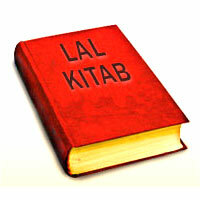 It should be used positively, in good faith and for guidance. For accurate reply our subconscious mind should be well-developed. This can be done by meditation, Yoga, Pranayam, prayer, Mantra etc. 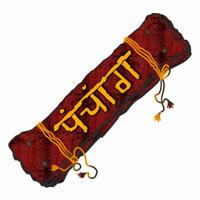 We can also use pendulum in astrology for instant guidance. 1. Date of Birth : Suppose the date of birth of Mr. XYZ is not known and his horoscope needs to be casted, dowse the pendulum on the photograph of Mr. XYZ, or any material object used by the native. Ask the pendulum to scan the photograph, or the object of Mr. XYZ. Prepare a tabular chart by dividing a circle in to thirty one equal parts, Enter the date from one to thirty one in serial order and clockwise, Place your pendulum at the centre of a tabular chart and ask the question that on which date Mr. XYZ was born. The pendulum will move in the direction of date in which he was born. Prepare a tabular chart by dividing a circle in to twelve equal parts. Enter the name of month in a serial order from Jan to Dec. Place your pendulum at the centre of a tabular chart and ask the question that in which month Mr. XYZ was born. The pendulum will move in the direction of month in which Mr. XYZ was born. Similarly prepare a year chart and find out the year in which Mr. XYZ was born, Finally the date of birth can be ascertained. 2. 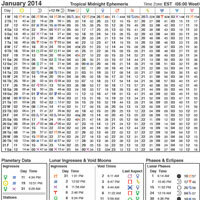 Time of Birth : Prepare a tabular chart for hour, minute and second. 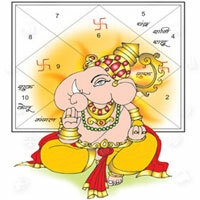 By dowsing the pendulum on each chart we will get the correct time of Mr. XYZ at the time of birth. 3. Place of Birth : Prepare two tabular charts- one for longitude and other for latitude. By dowsing the pendulum we will get correct longitude and latitude. 4. 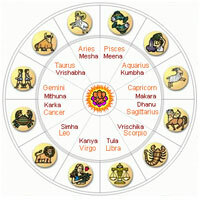 Casting of Horoscope : Prepare a tabular chart by dividing a circle into twelve equal parts. Enter the name of different Rasi in serial order and anti clockwise. Place the pendulum at the centre of the chart and ask the question that in which Rasi the planet sun resides at the time of birth of Mr. XYZ. 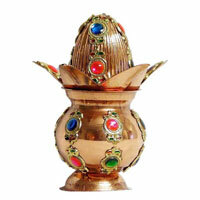 The pendulum will move in the direction of the Rasi in which the sun resides. 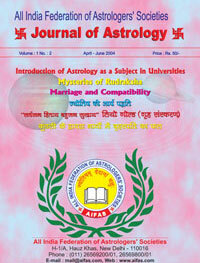 Similarly ask for other planets and find out the correct Rasi in which they reside. Cast the horoscope for sun and moon. 5. 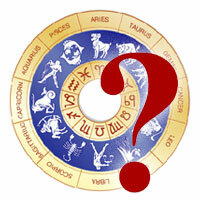 Conformation : Prepare the horoscope as per the calculation of astrology. Compare the horoscope with serial no. 4. If it fully tallies, then your calculation for date of birth, time of birth and place of birth is correct. In case there is any difference, then repeat the above procedure after thirty days.